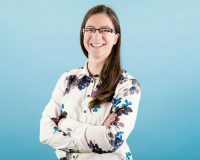 Nicola is a talented tax specialist who manages the team that deal with the preparation of personal tax returns. Working with individuals she brings clarity to Income Tax, Capital Gains Tax and Inheritance Tax issues her clients face and by dealing with HM Revenue and Customs on their behalf, her clients can relax knowing that any tax issues are being dealt with effectively. She is living proof that tax doesn’t have to be taxing.